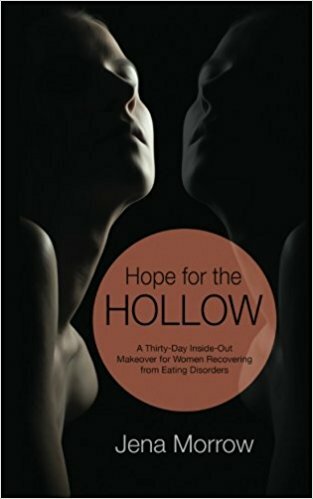 Thirty-day insight-out makeover (daily devotional) for women recovering from eating disorders and body image disturbances. Includes reflection questions for personal reflection or for use in individual or group therapy. As the Alumnae Coordinator at Timberline Knolls, Jena develops and maintains relationships with former TK residents after they return home. This is accomplished via phone, email, social media, and other avenues of communication. She is responsible for producing and facilitating various alumnae events, including monthly on-campus gatherings as well as an annual retreat in the Chicago area. She is constantly striving to grow and evolve the alumnae program, which she helped create, and manages an active Alumnae Board and network across the country and world. As a national eating disorders awareness advocate and professional speaker, Jena has traveled throughout the country sharing her recovery story and delivering a message of hope and freedom from disordered eating and distorted self-image.